Simon Mark-Brown has been directing for over twenty years. He formed Republic Films in 1992 and has since shot hundreds of television commercials for most agencies in Australia and New Zealand and has won many international awards including two Cannes finalists. Comedy and storytelling is his thing. 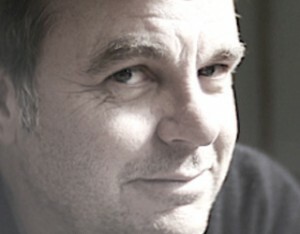 He has directed two international award-winning short films, a documentary on the life of singer John Rowles and a feature film ‘The Sun Came Out’ – Neil Finn, Johnny Marr, Radiohead and Wilco amongst others – recording and performing an album for Oxfam, released internationally through Oliver Stone’s distribution company. Simon completed a bachelor of architecture a couple of years ago and is now working on a documentary of his deceased father’s architectural work. A recent project out is ‘A Bit mental’, a documentary about a man Liloing the Waikato river to raise awareness for depression which aired last Christmas on TV3. Kontent is a whole new model – owning all our own gear with a great in-house DOP and editor it is complimentary to Simon’s film making skills and he believes it to be the future of commercial filmmaking – moving content for any screen – shot smarter. 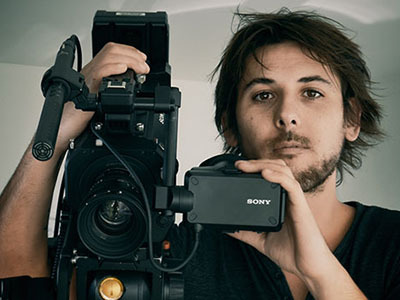 Bertrand Remaut emigrated to New Zealand from France four years ago after completing an Audiovisual Communication degree at the University of Nanterre in Paris specialising in editing and directing. 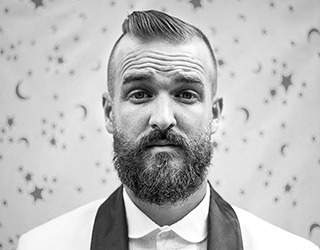 Bertrand is also au fait with moving graphics (After Effects) and sound design (Pro Tools), photography and camera work. He has a keen sense of design and aesthetic and most importantly understands story-telling. Bertrand is young and keen and brings a refreshing, contemporary European attitude to his work. He is a great DOP and excellent editor and now a permanent resident too. Yahoo. Jimi has run his own boutique branding and design company for the past six years working on clients such as Massey University and the Rugby World Cup. In his adventures, he has gathered over 55,000 followers on social media and has helped his own and his clients digital campaigns become massive successes. His last adventure garnered over $12 million dollars worth of PR value on a budget of $0.